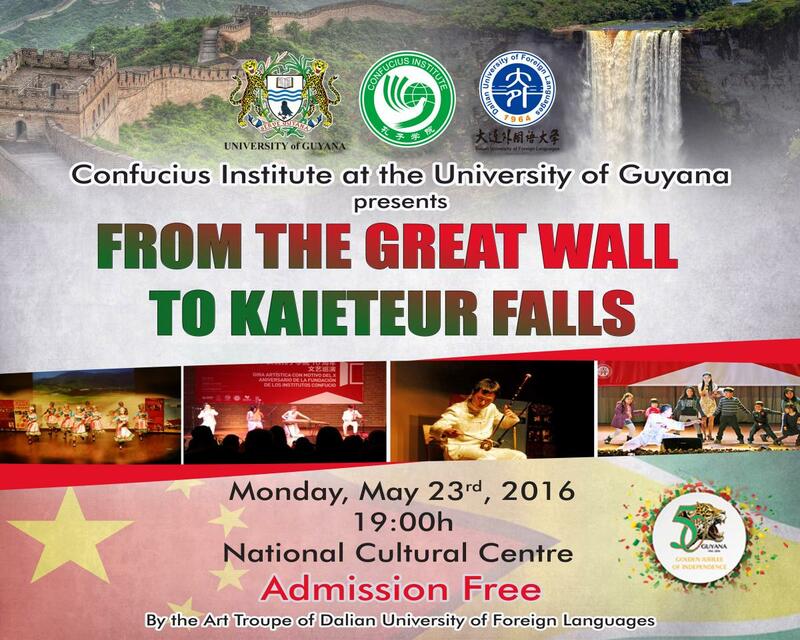 A performance of “From the Great Wall to Kaieteur Falls” will be shown on May 23rd, 19:00h, National Cultural Centre, admission free! This performance is dedicated to the people of Guyana in celebration of the Golden Jubilee of Independence. The performance is hosted by Confucius Institute at the University of Guyana, and performed by the Art Troupe of Dalian University of Foreign Languages in China. You are going to experience Chinese martial arts and Tai Chi show, Chinese traditional music and folk dancing, a calligraphy show, and joined by a local dance.